Florida Power & Light Company’s solar trees at Palm Beach International Airport were installed on Jan. 9. Palm Beach International Airport and Florida Power & Light have partnered to add new innovative solar arrays that will promote sustainability to millions of travelers, while harnessing the power of the sun. 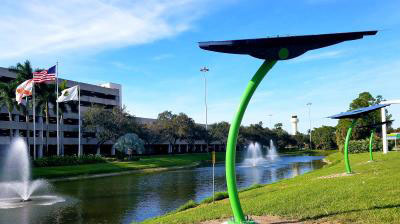 As of this month, PBIA is now home to three solar trees, which are located on the inbound airport access road, Turnage Blvd., just before the parking garage, and a solar canopy is soon to come. The canopy will be in the cell phone waiting lot and will provide shade for 10 parking spaces in the far west lot. These combined 230 solar panels will be producing more than 65 kilowatts of clean, zero-emissions energy. 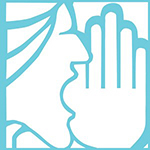 The partnership between FPL and PBIA comes from FPL’s SolarNow program. The FPL SolarNow program is bringing more solar into local communities. Their distinctive design is easily integrated into urban landscapes, providing people an opportunity to see and learn about solar energy up close — something many have never experienced because solar panels are usually located out of sight on rooftops or at universal solar energy centers, like the 14 FPL operates.